BBC & Freesat & Sky Digital: New frequency for BBC One North East and Cumbria: 10803.00MHz, pol.H (DVB-S SR:22000 FEC:5/6 SID:6471 PID:5600/5601 English- Clear). BBC One North East and Cumbria switched to Astra 1N satellite at 10818.00MHz, pol.V (DVB-S , 10818.00MHz, pol.V SR:22000 FEC:5/6 PID:5400/5401 English). Sky Digital: New PID for BBC One North East and Cumbria: PID:5400/5401 English SID:10355 (10818.00MHz, pol.V SR:22000 FEC:5/6 - Clear). Sky Digital: New PID for BBC One North East and Cumbria: PID:2327/2328 English SID:10355 (10818.00MHz, pol.V SR:22000 FEC:5/6 - Clear). BBC & Sky Digital: New PID for BBC One North East and Cumbria: PID:2326/2327 English SID:10355 (10818.00MHz, pol.V SR:22000 FEC:5/6 - Clear). BBC & Sky Digital: New PID for BBC One North East and Cumbria: PID:2327/2328 English SID:10355 (10818.00MHz, pol.V SR:22000 FEC:5/6 - Clear). BBC & Sky Digital: New PID for BBC One North East and Cumbria: PID:2329/2330 English SID:10355 (10818.00MHz, pol.V SR:22000 FEC:5/6 - Clear). BBC & Sky Digital: New PID for BBC One North East and Cumbria: PID:2320/2321 English SID:10355 (10818.00MHz, pol.V SR:22000 FEC:5/6 - Clear). 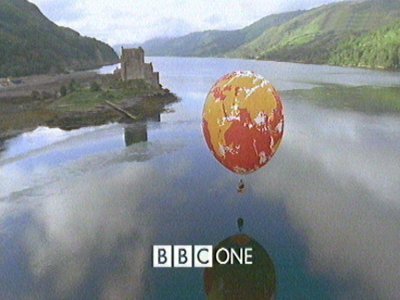 BBC & Sky Digital: BBC One North East and Cumbria (United Kingdom) is now transmitted Free To Air (10818.00MHz, pol.V SR:22000 FEC:5/6 SID:10355 PID:2317/2318 English). Sky Digital: A new channel has started in DVB-S VideoGuard: BBC One North East and Cumbria (United Kingdom) on 10818.00MHz, pol.V SR:22000 FEC:5/6 SID:10355 PID:2317/2318 English.